Latest Update Dated 24.04.2019: UP D.El.ED. 2019 Detailed Information Brochure Pdf Will Release Till Next Week………….The Online Application Will be Started from First Week of May, 2019…. Candidates Can Check More Information through the Below Provided Link…………. Engineering Diploma Holders will Considered Equivalent to Intermediate……Candidates Should Note that This Time Corrections in Applications Form is Not Allowed…So Fill Your Form Carefully…….Candidates Can Download the Detailed Advertisement through the Below Link……. Private BTC colleges agreed to set fees annually around Rs. 41,000/- rupees has almost become. Is shortly to issue orders in this regard. After orders may take private college management fees fixed. The complaint related to the excess fees will be taken against college. It also ended his affiliation may be. To Apply for BTC (D.El.Ed) 2019 Training, Candidates Age Should Have Min. 18 Years as on 01 July 2019 and Maximum 35 Years as on 01 July 2019. For General : 18-35 Years. For OBC/ SC/ ST : 18-40 Years. For Physical Handicapped : 18-50 Years. Good News for UP BTC Aspirant’s, UP Basic Education Department is going to be Start UP BTC (D.El.Ed) 2019 – 2020 Session Application from First Week of May 2019. Check Out the Detail………..
State Government of Uttar Pradesh is going to change process for Admission in 2 Year BTC (Now D.El.Ed) Course. Online applications will range from District Institute of Education and Training (DIET) & Private Colleges. Admission will be issued on the basis of merit. Private college in management quota admission fees as fixed by the rule book and will abide by the rules. Diet and college online application will be Separate. The application will be determined on the basis of merit College wise. Merit will make by Taking Reservation Rules in Mind. SCERT will not stay vacant seat accountability. Candidates can leave their comments about UP BTC Admission. If there is any query regarding this post, you can share with us. We will try to solve your query. UP Exam Regulatory Authority has been Declared BTC 2013 Exam Schedule For the 2nd Sem, 3rd Sem & 4th Sem. But UP Exam Regulatory Authority did not announce the fix date of examination, but UPERA uploaded a small notification related with 2015 Exam Date Sheet. UPREA conduct the Exam of 2nd, 3rd & 4th Sem in the First week of August. The Result of this exam will be declared in the last week of October. Exam Schedule is an important thing with help of the Exam Date Sheet candidate can prepare the exam time to time. with the help of the Exam Date Sheet Candidate will know which Exam is on which the Date so all the Candidates Please Download Exam Schedule With the help of Below Schedule OR You Can Also Download With the Help of http://www.examregulatoryauthorityup.in. Candidates Please Keep Touch with us For More Latest Update. Latest Updates On 24-04-2019 :- Pt. Deen Dayal Upadhyay Pashu Chikitsa Vigyan Vishwavidyalaya Evam Go-Ansundhan Sansthan Will Soon Release The Results of B.Sc, M.Sc. And Various Others Courses Soon. Candidates Are Requested to Keep visiting Our Website For Latest updates. U.P. Pt. Deen Dayal Upadhyay Pashu Chikitsa Vigyan Vishwavidyalaya Evam Go-Ansundhan Sansthan or Veterinary College, Mathura is the fourth veterinary science university in India. It is located in the city of Mathura, the holy birthplace of Lord Krishna. The college was established in 1947 by the government of the Indian state of Uttar Pradesh. In year 1975, Chandrashekhar Azad University of Agriculture and Technology Kanpur was established. U.P. College of Veterinary Science and Animal Husbandry at Mathura and U.P. College of Agriculture at Kanpur became its two main faculties. In 2001 U.P. Pandit Deen Dayal Upadhyay Pashu Chikitsa Vigyan Vishwavidyalaya Evam Go Anusandhan Sansthan (U.P. Pandit Deen Dayal Upadhyay University of Veterinary Science and Cattle Research Institute, abbreviation DUVASU) was established in Mathura, Uttar Pradesh, India and erstwhile U.P. College of Veterinary Science and Animal Husbandry at Mathura became its main constituent college. Latest Update On 24-04-2019 :- GBU Starts It Online Application And Conducted Till 03rd May, 2019. Entrance Examination Will Be Held On 18th May, 2019. Candidate Can Check More Information Given Below . 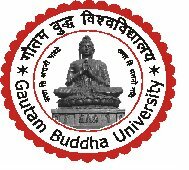 Gautam Buddha University (“GBU”) is a government university located in Greater Noida, Gautam Buddha Nagar district. Uttar Pradesh, India.It is one of Uttar Pradesh’s state government university which commenced its first academic session in the year 2008.University campus is spread over 511 acres in Greater Noida(Delhi-NCR) and offers Bachelors,Masters and Doctoral degrees in Engineering,Business Administration,Computer Applications, Biotechnology and Buddhist Studies and is mainly focused on research.Gautam Buddha University has signed a Memorandum of Understanding(MoU) with National Skill Development Corporation for introducing skill development programs in University and is one of three universities in India to do so. University will conducted a entrance exams for the B.tech/ M.tech, B.Arch, BBA/ MBA, M.Sc, MA, M.Phil, Ph.D Etc. GPTU-2019: Five Years Integrated Programme B. Tech. – M. Tech. (Biotechnology)/MBA; Dual Degree Programme BBA-MBA and B.Com (H)- MBA; All B.Tech. (4-Year) Programmes, BA LLB (5-Year Integrated Programme) BCA; B.I.D. GPT-2019: All M.Tech.Programmes; All MBA; LL.M; M.Phil. (Clinical Psychology/Political Science/Buddhist Studies & Civilization); MCA; MTTM, MHM. Online Entrance Examination: GPTU, GPT, GPTR-2019. Announcement of the results: GPTU, GPT, GPTR- 2019. Date of Interview : LL.M., All M.Phil. & Ph.D. Programmes. All the Candidates Please drop your Comment in Comment Box. If candidates have any Query Regarding this Post so Please Drop Your Comment. Our Team will give back Proper Response soon. University Of Lucknow or Lucknow University (LU) is a government owned Indian research university based in Lucknow. LU’s old campus is located at University Road area of the city with a new campus at Jankipuram. Founded in 1867, LU is one of the oldest government owned institutions of Indian higher education. The online application forms for Undergraduate programs, UG Management programs and B.El.Ed. will be available on the Lucknow University website www.lkouniv.ac.in from 2nd week of March 2019.The courses included in these programs are given below. Interested candidates may apply online for the application form candidates may apply online through the website of Lucknow University. During the form filling process the applicant can make the entries and save the information. If the applicant is unable to fill the form in one sitting or somehow the process is interrupted there is no need to register again. They can login using the credentials sent on their mobile numbers and continue the process. Applicants are advised to check all the data they have entered before submitting the application fee. If there is some error they can edit it or start the entire process again. Once they have submitted the application fee the data submitted in the registration page cannot be edited under any circumstances.